Located in the heart of Melbourne's south-eastern suburbs, Dunya Entertainment has everything in house for a great night. Dunya Entertainment just opened its doors on December 2017. The club has a total of 25 tables including Championship Snooker Matchplay tables, American and English Pool tables. A fully licensed bar is available to serve a wide selection of beer on tap, alcoholic beverages, soft drinks, milkshakes and coffee. In case you are hungry there is a variety of hot food available from Classic Beef Burgers to a Spicy Biryani. Free WiFi is accessible at all times. 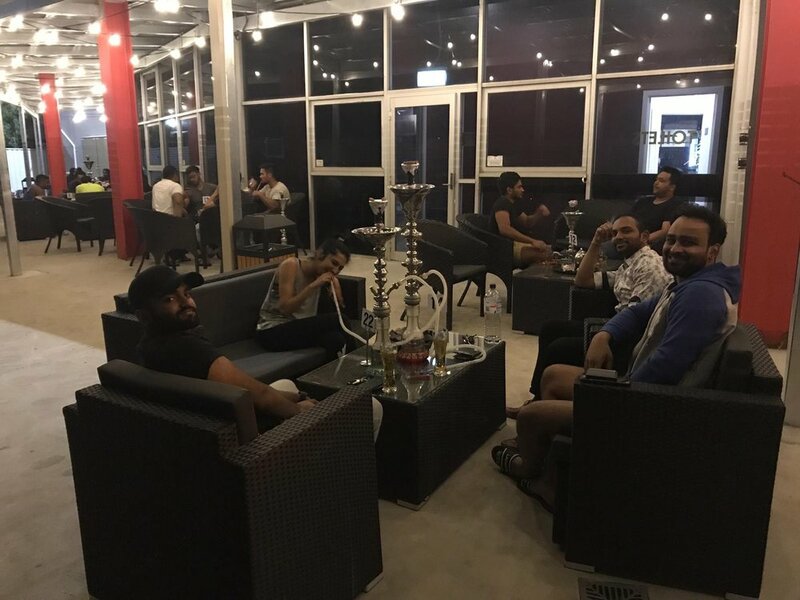 On top of that, Dunya Entertainment provides an ultimate shisha smoking experience in Melbourne with our premium range of shisha around the globe. 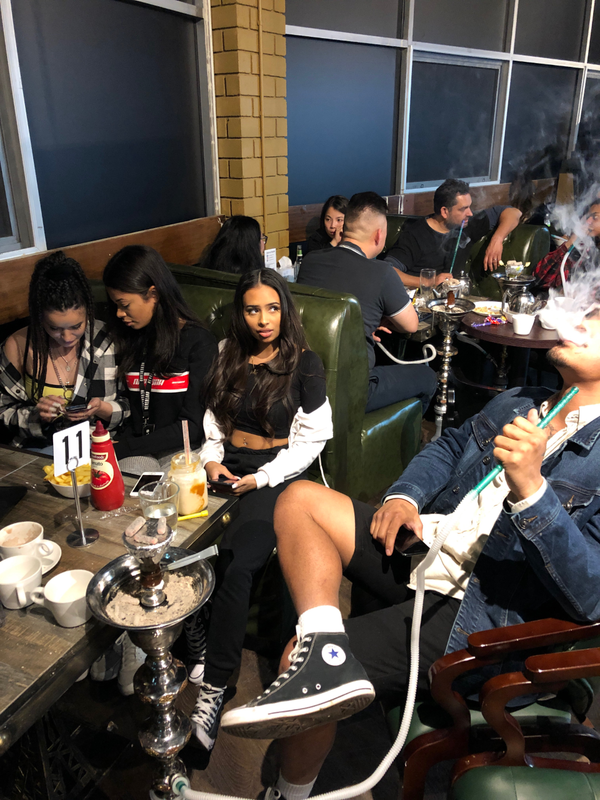 Come and Relax in our shisha terrace or kick back in style in the indoor lounge and let our friendly staff do the rest. Dunya Entertainment caters for all and prides itself on its friendly atmosphere and helpful staff. It is the perfect place whether you want a fun night out with friends, a relaxing shisha, or a competitive game of snooker! We look forward to welcoming you to the club soon! The people that gather here appreciate that smoking the hookah pipe is one of life’s great pleasures. Take time out and mellow with the soft sound of bubbling water in which you draw on the smoke of filtered fruit flavoured molasses through the long curled pipes producing a smooth and flavourful aftertaste. 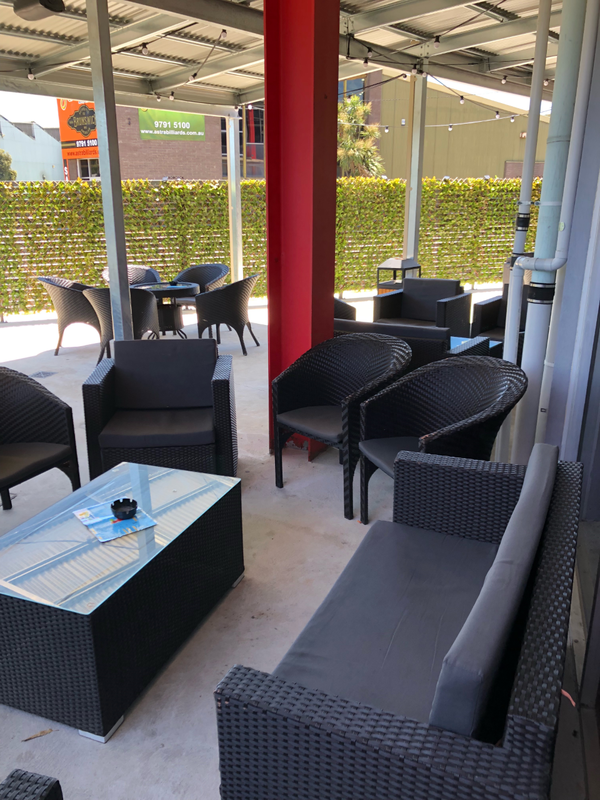 Have a relaxing shisha in our cozy indoor lounge or enjoy the beautiful warm weather in our comfortable outdoor lounge. Our lounges will give you a comfortable and spacious environment for all to enjoy. For too long now Melbourne’s Snooker Halls have been the dusty, dim hang outs of old men and sometimes dodgy night time strikers. More and more Melburnians are looking to the snooker hall for a cheap alternative night out that doesn't have a door policy, is open till late hours and is as chilled as you like. At Dunya Entertainment, we have ten Championship Snooker tables in a fantastic environment. It is the perfect place whether you want a fun night out with friends, a relaxing drink, or a competitive game of snooker! We look forward to welcoming you to the club soon! We offer 50 dollar memberships for one year that provides 10% discount on the table including drinks. We have it all. Our pool tables are provided with Aramith balls, the leading professional standard in pool. It’s a prime location for a date night as well as to go for competitive pool playing amongst friends. If your looking to come for food and drinks after work, or to watch your favorite sporting event. For the ones that enjoy being a bit more active, we have a professional table tennis table available. The area is completely private and there is a speaker as well where you can play your own music in the room via BlueTooth. Because there is only one table available, we strongly encourage our customers to book in advance via the phone. If you bring your own bats with you, we will gladly offer you a 10% discount on the table hire.